Mrs. Cop is an action thriller about a team of police officers that deal with violent crimes like murder. Our protagonist is the leader of this team, and we follow her in a rollercoaster ride to solve various cases while witnessing how she struggles to balance career and family at the same time. I’ve never been one too keen for crime dramas. I find that it often follows the same formula: episodic storyline starring a ragtag team who strictly fights for justice, coupled with a bigger plot of corruption, the revelation of which becomes the ultimately climax, and justice always prevails in the end. In my experience, this formula works, but it can also be boring without the right balance of character development and if the cases are not well thought out. In the case of Mrs. Cop, this formula worked in its favor. However, in the case of Mrs. Cop, I find that this formula worked in its favor, because the drama not only gave us reasons to care about its characters, but also revealed the corruption early enough for a full closure. Otherwise, the underlying corruption would have seemed like a last minute plot line thrown into the mix, rushed through without tying up all the loose ends, much like other crime dramas I have come across before. Fortunately, that was not the case with Mrs. Cop as the drama had much more to offer. The early episodes of Mrs. Cop introduce us to our investigations team and main characters. I must say that I didn’t quite click with the drama immediately, but was able to slowly grow appreciation of it over time. We meet Choi Young Jin (Kim Hee Ae). She’s a hard working officer, who struggles to balance both her job and her family, often leaving her daughter to be taken care of by her sister. We see Young Jin’s team tries to catch a murderer, but it’s proven difficult due to some bribery in the police force, as well as the slippery murderer constantly finding loop holes to get away. What really bothered me though is the diminishing sense of realism when you see a group of at least five police officers trying to take down one person. Yet somehow they always fail to do so for a variety of silly reasons, one of which is that a rogue police officer decided to go off on his own. Despite the somewhat unrealistic and slightly forced setup of the storyline, I do like the fact that the drama gave Young Jin a child so we could see two diverging sides to her: a no nonsense cop and a loving mother. But to the drama’s credit, both aspects of Young Jin played into each other to make her a consistent character overall. For example, she never gives up on cases because she cares about keeping the promises she made to the victim’s loved ones. Both aspects of Young Jin played into each other to make her a consistent character. Young Jin’s caring personality is a stark contrast from others. Her superior and long-time friend, Park Jong Ho (Kim Min Jong), is portrayed as a blind follower, listening to the police chief even when he realizes something doesn’t quite add up during a case. Mrs. Cop intended to make Young Jin look considerate and righteous when she fought back against the chief’s decision, but inevitably made Jong Ho look cowardly for not doing so. Despite the drama trying to paint her as a picture-perfect character, I however, see flaws in Young Jin. She’s hotheaded and makes promises that she doesn’t know if she can keep. In my opinion, how emotionally invested she gets with the cases is in fact a flaw for a cop because it affects her objectivity, which can come off as unprofessional at times. 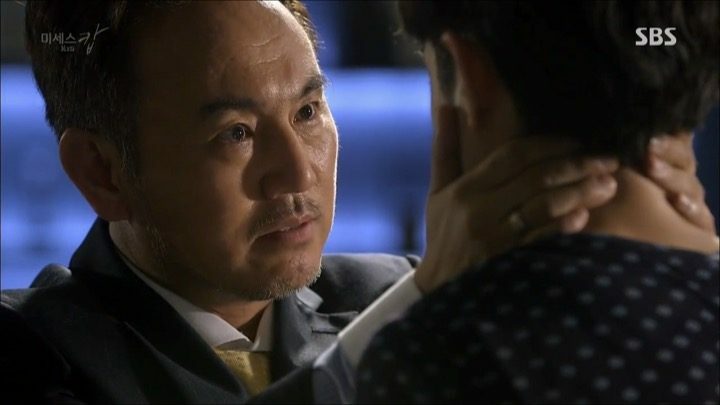 We also meet the antagonists of the drama during these episodes: President Kang and his son Jae Woo. Jae Woo has actually committed murder, but his father and secretary do everything they can to cover it up. President Kang himself isn’t a stranger to killing and embezzlement either, allowing the drama to set up a truly unscrupulous antagonist. I’m curious as to how the drama will factor them into the overarching plot. Will they be the only consistent appearances in an episodic drama? Or will they lead into a bigger plot? Only time will tell. Although the first few episodes of Mrs. Cop had their issues and didn’t grab my attention as well I had expected, I’m hoping the next ones will, now that we’re gearing up to dig into the meat of the story. These episodes pick up in entertainment value as Mrs. Cop focuses on character building and plot development. The drama highlights not only our main characters, but supporting ones like other members of the investigation team Han Jin Woo (Son Ho Jun) and Min Do Young (Lee Da Hee). Jin Woo is a direct, hot tempered cop, while Do Young is the calm and collected one, first to assess the situation before taking action. Their conflicting personalities make for an interesting and amusing duo, while leaving me to wonder if they’ll end up rubbing off on each other. 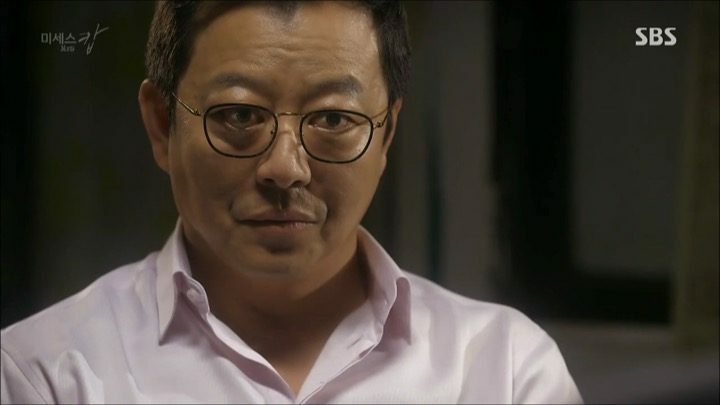 We also start to get integral hints about people in Young Jin’s life, such as her father’s supposed murderer, Dong Il, and what his relationship with President Kang is. The drama ties these key pieces of information together at just the right pace, while mixing in the right amount of humor to make sure the audience isn’t confused or bored regarding the underlying storyline. Mrs. Cop continues at an engaging pace while amping up the investigations. Just when I think the team is one step closer to getting President Kang, he somehow escapes. I know that it can’t be too easy for our heroes to attain their goals, or else we wouldn’t have a complete crime drama to show how corruption can affect the outcome of the attempted arrests. However, in my experience, if these kinds of “near-capture” plots get dragged on, the drama would lose its impact and make me wish it was over sooner. I hope that won’t be the case with Mrs. Cop. The drama also tunes in a little bit on Young Jin’s sister, who definitely has the shorter end of the stick because she’s too busy taking care of Young Jin’s child to live her own life. As much, I do feel sympathetic towards her. That said, at this point Young Jin’s family members only make appearances when it’s convenient, even though the drama made her relationship with her family more prominent and promising in the beginning. Despite this, her relationship with her family is shown to be very good, as she cares deeply for them. But of course, Mrs. Cop is still very much focused on playing up President Kang as the primary antagonist, with little hints of others coming into play to help his evil deeds. I’m confident our heroes will ultimately bring him down, just pray that the drama won’t keep me waiting around for too long. 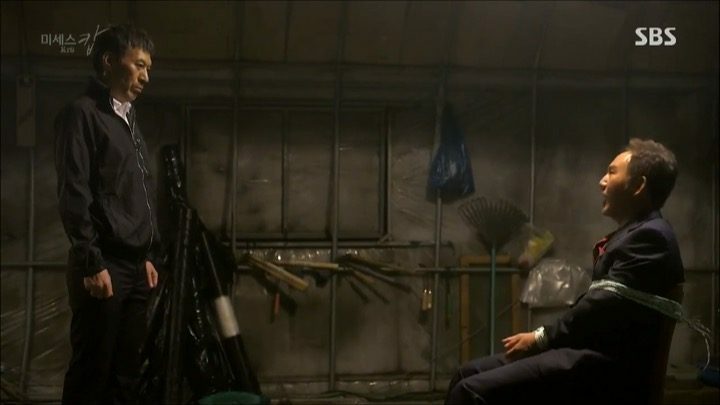 The climax of Mrs. Cop occurred during episode 13, so stretching the plot beyond that had a negative effect on my perception of the drama. Mrs. Cop could have been cleanly and realistically wrapped up after the events in episode 13, but unfortunately, more stereotypical troupes were added to artificially elongate the drama. The seemingly never ending cat and mouse game starts to make me lose interest. Even though our heroes manage to secure evidence against President Kang, he escapes conviction once more. The seemingly never ending cat and mouse game starts to make me lose interest, as I know that the bad guys won’t be finally behind bars until the very end. Sure, from a legal standpoint, the drama gave sound reasonings for how President Kang slipped through, but it’s frustrating to see how close our heroes were at succeeding, just to fail once more. Our team finds out however, that the key to taking President Kang down lies with a murderer that they had put away previously. This new finding reignites my interest in the drama as I’m hankering to find out if he’ll give up the information willingly, or if our heroes need to resort to coercion or smart planning. To my relief, Mrs. Cop wraps up relatively cleanly and ends on a positive note with new romantic relationships forming. Once the investigation team has all the pieces to the puzzle, they work relentlessly to bring down President Kang once and for all. Our villain’s downfall comes from a lack of remorse, and mistakes made during his further attempts to avoid jail. Mrs. Cop also throws in a couple of dramatic deaths here, but thankfully they don’t feel out of place. I have no complaints about it because it was set up from the beginning, and well developed. In the final scenes of Mrs. Cop, our heroic team gets promoted and reassembled for another new case, effectively closing the show, but also leaving doors open for future possibilities. As mentioned early on, I had high hopes for Mrs. Cop because the introduction of the corruption and the antagonists happened relatively early. But because the process of bringing down President Kang was slightly stretched, I felt a bit disappointed in that regard. Furthermore, though it was nice that the drama brought in Young Jin’s daughter to add emotional depth to her character, it would have been even better if there was more highlight of the relationship between them, rather than just having the child as an accessory. Irregardless of these flaws, Mrs. Cop was indeed intensely enjoyable overall, with a tight story and minimal time wasted on unnecessary filler. In the grand scheme of things, Mrs. Cop is a crime drama done right.